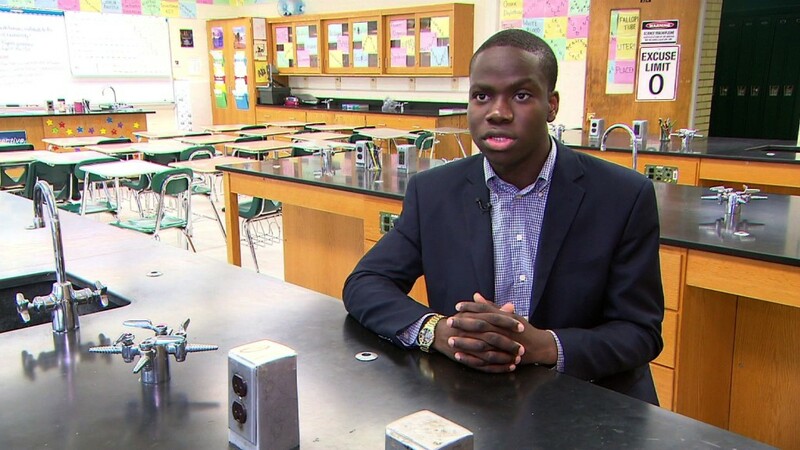 High school senior Harold Ekeh didn't just get into one Ivy League university. He was accepted into all eight. "I am leaning toward Yale," he told CNNMoney. "I competed at Yale for Model UN, and I like the passion people at Yale had." Ekeh, 17, founded a college mentoring program at his school, Elmont Memorial High School on Long Island in the New York city suburbs. His goal is to get more students into top universities. Harold Ekeh is a senior at Elmont Memorial High School in Elmont, New York. American dream: Ekeh was born in Nigeria and came to the United States when he was eight. He wrote his main college essay about the struggle to adjust, including being clueless in U.S. history classes at school. He said he would ask his parents repeatedly why they moved. "We had a fairly comfortable life in Nigeria, but they told me we moved to America for the opportunities like the educational opportunities," he recalled. "I am very humbled by this," Ekeh said. "It's not just for me, but for my school and community. We can accomplish great things here." A passion for science: He wants to major in neurobiology or chemistry in college and later become doctor and, ultimately, a neurosurgeon. He was named a 2015 Intel Science Talent Search semifinalist earlier this year for his research on how the acid DHA can slow Alzheimer's. For Ekeh, the cause is personal. His grandmother was diagnosed with Alzheimer's when he was 11. One of his proudest moments was running home to tell his mother and aunts about the breakthroughs he was finding with DHA. "When other kids would say, 'I want to be a superhero or police officer,' I would say, 'I want to know what is on the inside of us,'" he said. 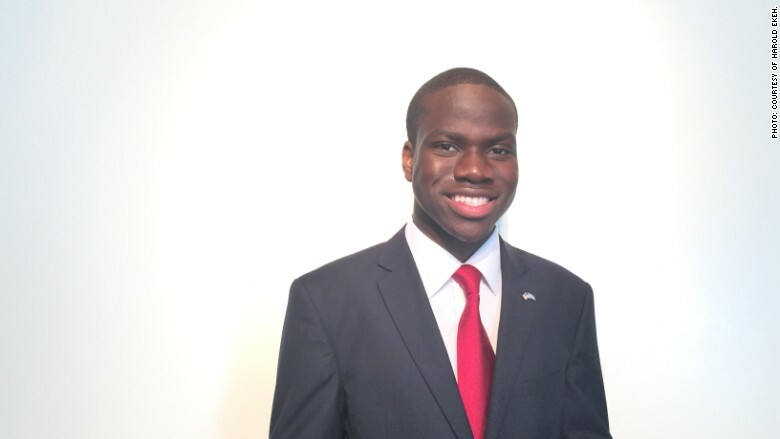 The key to success: Outside of the lab, Ekeh directs a youth choir at his church, plays the drums, is part of Key Club and Model UN and was elected to the Homecoming court. He speaks Igbo and Spanish and has a 100.5% GPA. He's proud of acing the AP History Exam despite his early struggles with the subject. Principal John Capozzi calls Ekeh "one of the most humble young men I've ever had the opportunity to meet." The lab where Ekeh did his award-winning research is modest and only staffed part-time by a passionate chemistry teacher, but the community makes the most of what it has. His advice to other high school students is simple: "Like my parents always told us, the secret to success is unbridled resolve."